Indecisiveness. That is why there is reflections on the Pastoral Epistles and the Peters happening right now. Yet in some weird way they tend to compliment one another. But I digress. The Pastoral Epistles were never my favourite, it could go back to the lowest mark I ever got in Bible College or Seminary– due to an abysmal performance on a scripture chapter memorization- write out and recitation. I also thank those who have noted my writing output recently, I know it may not be my strongest work but it is part of renewing and rebuilding a daily practice. This is how I am laying the foundations in a new mind mansion/interior castle as I continue to work through the now twin diagnosed neurological realities in healing (and wait lists). I wonder at times as I read the Pseudo-Paul voice within the Pastoral Epistles, if this isn’t a moment of renewal within leadership. A move to more structures within the Pauline strain of the Christianities. Managing change. Managing transformation. Attempting to maintain the familiar. Again we are entering into passages that have been weaponized in misogyny and it is time to look with upon them with a fresh heart. First of all, then, I urge that supplications, prayers, intercessions, and thanksgivings be made for all people, 2 for kings and all who are in high positions, that we may lead a peaceful and quiet life, godly and dignified in every way. 3 This is good, and it is pleasing in the sight of God our Savior, 4 who desires all people to be saved and to come to the knowledge of the truth. 5 For there is one God, and there is one mediator between God and men, the man[a] Christ Jesus, 6 who gave himself as a ransom for all, which is the testimony given at the proper time. 7 For this I was appointed a preacher and an apostle (I am telling the truth, I am not lying), a teacher of the Gentiles in faith and truth. A preacher is obviously someone who presents publicly the message. An Apostle is a duty of going into new territories and breaking ground with new or reinvigorated ideas outside the norm. Finally, a teacher, well they are there to walk with the community as they go deeper in knowledge, and application of that knowledge becomes wisdom. (Yes, astutely noting we are working the text backwards). These are positions that spun out of what Brother Jesus normally called disciples. Those on the journey of stripping away the darkness, letting the light out, burning away the gunk for the true resonance with the Holy Mystery within, through and throughout. It happens then that through seeing the other with the Holy Spark they are not aware of yet. 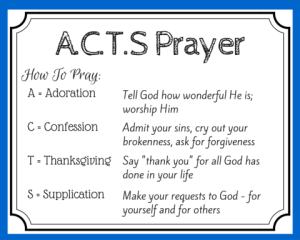 The starting point is authentic prayer/discernment. This is not the catch phrase of “thoughts and prayers”. But authentically taking on the practice of prayer for one to come to who they truly are. Raise their awareness. Within to come to the same core resonance. As Brother Jesus would have noted in the gospels written before this epistle, it is not a show for the world, but an authentic practice that brings about change in how you see and interact with your world. 8 I desire then that in every place the men should pray, lifting holy hands without anger or quarreling; 9 likewise also that women should adorn themselves in respectable apparel, with modesty and self-control, not with braided hair and gold or pearls or costly attire, 10 but with what is proper for women who profess godliness—with good works. 11 Let a woman learn quietly with all submissiveness. 12 I do not permit a woman to teach or to exercise authority over a man; rather, she is to remain quiet. 13 For Adam was formed first, then Eve; 14 and Adam was not deceived, but the woman was deceived and became a transgressor.15 Yet she will be saved through childbearing—if they continue in faith and love and holiness, with self-control. First the opening few lines speak of not doing how others do community. Not worrying about things. The fact they lean them into a sexist dichotomy is why these writings are seen from the Pauline school, but not of Paul who was seen as more an equalist. Now as we move into the “learn quietly and submissively” what needs to be remembered first is, up until now within monotheistic faiths (pre-J.C.) there was divisions within the gatherings– the holy; then men; then women; then gentiles…now they were all together, so one thought can be this is an improvement. Since families had never been together in worship and learning there was many questions being asked and to be processed. Yet, it goes more to a preaching setting and not a teaching setting. This is important for the first part of the passage to take effect, the authentic growth. A new way of doing must grow slowly and rapidly. The key to me is showing their faith through actions (good works), and I do not see the need for the gender specifier here, except that the writer goes down a rabbit hole of old school religious oppression. Pointing out that women shall not have authority to teach which we have already seen from history up to this point as bullocks. Could it be contextually specific in that this is more new believers that usual so wanting to ensure proper practice? Or is it more wanting to blend in with the more acceptable monotheistic practice in the Empire of Judaism and avoid persecution? Or leaning more heavily on that tradition, as they touch point to Adam and Eve and try the old, Eve was taken for a ride not Adam (which the great Adam gave in as well). When the first creation touch point has humanity created as equals (Genesis 1); another school of thought brings in Genesis 2 and the sub-creation concept. Since the original Paul would point out there is no labels, and all are equal one can surmise that the Pseudo-Paul voice here was an adherent/student within Pauline Christianity, but still retained strong roots in his own religious upbringing. As it also misses the point that in Genesis 3, Adam and Eve are BLESSED with the world to go forth and explore, grow and learn in. As they enter adolescence as a species they note their differences, Eve becomes aware of childbearing, and that pain will be apart of the process, and Adam becomes aware of work to bring forth food. Lifespan development of the ancient world (social psychology). That leaves us seeing that we need to bring a context to our hearts of reflection. We need to understand where we are in the journey, and what it means to come into the words of experience. What we also need to understand is that every writer even though inspired by the Holy brings their own slant to the teachings. For the building up in the first portion of holistic growth and development could almost be scuttled by the second portions misogyny. That is not the purpose, the purpose is what the first spoke of- authentically you as created. And what vocation are you called into? Daily practice. It has backed many religious/spiritualist movements. Secular mindfulness movements. Psychological/holistic healing. Creative arts. The idea that each day to do something that takes you into another space. The thin space that “separates” the creative spark (some call God) and creation…when in fact they resonate well together it is simply us that must pause, and enter into the thin space to truly create. These are thoughts that have been spinning as I work through my own block. Writer’s block. Very rarely experienced in my life, but lately has been cropping up. It is a block of darkness. Or that is what I see when I take moments to pause and be present. The light is kept out, unable to truly break through. Feel one’s breath is what the experts say to enter into a deeper meditation. It starts with presence. Experiencing what is in the now. The now being a concrete block within my mind’s eye. But it comes back to each day trying to keep practice. For as Martella-Whitsett (2011) How to Pray without Talking to God brought the book group to this week. We tend to stop our practice to soon. That is we tend to enter into our prayer/contemplation/meditation time of creation/manifestation/denial/affirmation BUT before we truly make a breakthrough the silence scares us. For it is resting in that silence that the heavy lifting to the “Thin Space” can be done. Simply, because being with ourselves and truly affirming the divinity we are created in is, well, S-C-A-R-Y. So it is always easier to simply stop at the imaginary line, than spend that extra beat and wait to see if the light shines through. The light of daily practice. Been a long road back to some semblance of this for myself, yet trying to attempt it. Working into some Wisdom in Ecclesiastes, reminders about the ebbs and flow of life. Silence. Concrete blocks. Reminders in the ancient story of Nehemiah, called to rebuild. On the front lines as a leader in the moment, but taking time away to get above the daily work, the daily battles to be able to see the lay of the land. The higher plain of planning. That is the extra beat in the silence. The higher plain, being able to see (wholly) who one is. From their stepping into the true reality. Faith without works is dead. That is one of those sentiments that can tend to stick with you. Traditionally it is from one of the most contested epistles within the Christian Testament. That of James, whom tradition teaches was a brother of Jesus of Nazareth, it also shows the matrilineal lineage of the early tribe as an ascent this quickly into leadership and teaching would be via Mother Mary of Nazareth, those whom was adopted by the Beloved Disciple (which is you read the Gospel of John through a mystic lens then it should be us inserted into each instance of the term being used, so it is us that opens our arms to the one society would turn out for being outside). But I digress, for this does tie into the Aquarian Gospel readings, which seem to be more thematically clumped as the work progresses. Chapters 137-141 create an arc of teaching that would make James proud (and for those that have spent any real time in Marian theology and her call to the world of hope, justice and inclusion, as well). A housewife was alone at night and, lo, some guests arrived, and they were hungry, having had no food for all the day. 11. The housewife had no bread, and so at midnight she went forth and called a friend and said, Loan me three loaves of bread, for guests have come, and I have naught for them to eat. 12. The friend replied, Why do you trouble me at midnight hour? My door is shut; my children are with me in bed; I cannot rise to give you bread; to-morrow you can be supplied. 13. The housewife asked again, and then again, and then because she pled, and would not be refused, the friend arose and gave her bread. 14. Behold, I say to you, Ask firmly and you shall receive; seek trustingly and you shall find; knock earnestly, the door will open up. It is much like the petitioning when the masses were hungry, and one step forwarded, a child (again someone without voice in the world) to show the way. From that miracles happened, perhaps it was like this where those who had but were unwilling simply became willing. It is how our world truly runs, we are an interdependent species and as such we need to care for one another to make this world work. Some would call it justice, some a social contract, some a social gospel or a liberation gospel But what 137 does is line it up that it begins with prayer, and then prayer/meditation leads to action, and action leads to compassion which leads to loving our neighbour as ourselves. idea to teach fasting for 30 hours. checked in as participants arrived. the third world in two teams. out ended our first day of fasting. what we can be with him.